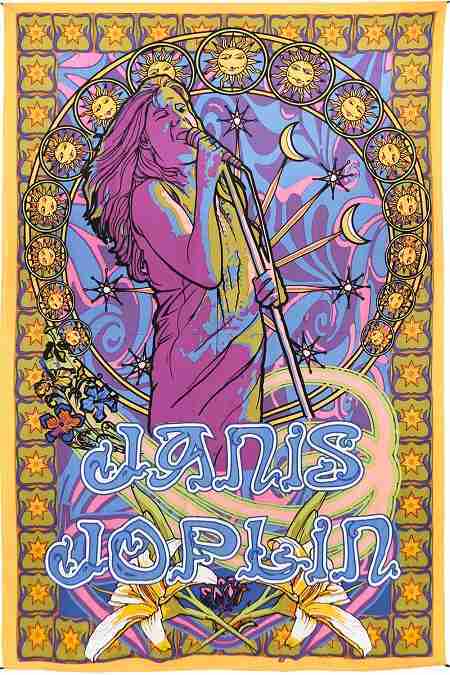 Beautiful brand new psychedelic Janis Joplin design. 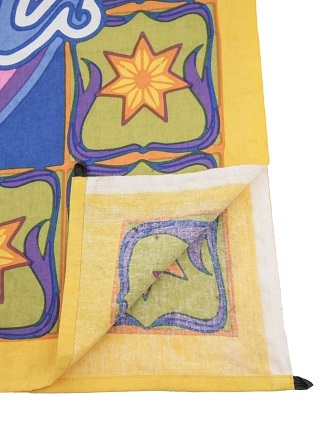 This beautiful tapestry measures approximately 60" x 90" and has corner loops for easy hanging. An almost life size image of Janis would look great on your wall. Officially licensed Janis Joplin merchandise.